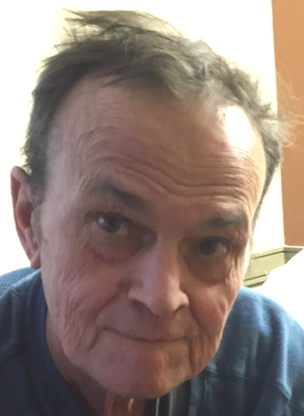 Eddie Wayne “Bates” Hostutler, 66, of Salem, passed away peacefully Wednesday, April 10, 2019 at home. He was born April 3, 1953 in New Martinsville, W. Va., the son of Genevieve (Knisely) Hostutler, moving to Ohio in 1971. A graduate of New Martinsville High School, Bates served in the U.S. Army and worked on the railroad. An avid coin collector, he was a also a NASCAR fan. Most of all, he cherished the time he spent with his grandchildren. He is sadly missed by his four children: Edwin Glenn Hostutler (Jennifer) of Niles, David Wayne Hostutler (Kimberly) of Leetonia, Daniel Watt (Jerrica Carl) of Salem, and Lisa Campbell (Robert) of San Antonio, Tex. ; eight grandchildren: Edwyn, Courtney, Shayna, Lindsey, Audrey, Hayley, Nicholas, and Henry; a sister, Debbie Yost (John) of Mannington, W. Va.; and a brother, Howard Hostutler (Eileen) of Canton. Preceding him in death are his parents; twin siblings who passed at birth; and four other sisters: Betty Price, Leona Nixon, Mary Drozd, and Patricia Hudson. Cremation is taking place. The family will celebrate his life at a later date.